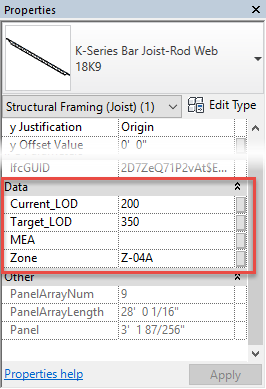 The LODmanager Autodesk® Revit® Plugin, developed by IKERD Consulting, helps bring clarity to BIMForum Level of Develeopment (LOD) use in a model by adding LOD parameters to model elements, providing tools to easily modify LOD parameters, and allowing you to visualize varying levels of LOD in a single model. LODmanager is brought to you by IKERD Consulting. It's free.